On January 22, 2018, the U.S. Supreme Court agreed to hear a challenge to the U.S. 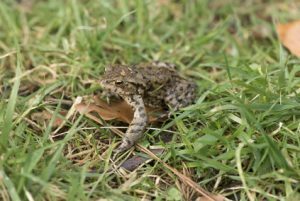 Fish and Wildlife Service’s designation of 1,500 acres of private forestry land in Louisiana as critical habitat for the dusky gopher frog, an endangered species. Weyhauser v. U.S. Fish and Wildlife Service, No. 17-71. The Fish and Wildlife Service admits that the 1,500 acres are not currently occupied by the endangered frogs, but instead bases its designation on the fact that there are six ephemeral ponds on the land, which could support breeding of the frog species. Specifically, for this species to breed it needs small isolated, ephemeral ponds embedded in open canopy forest. There are also two other critical features the frog’s habitat must possess, frequent fires to support an open canopy and upland habitat connecting breeding and non-breeding habitat to allow movement between them, which are currently not present on the 1,500 acres. Although Fish and Wildlife recognized that designating this land could cost the landowners $34 million in lost development value, the agency concluded that the “biological benefits” of the designation outweighed the cost to the landowner. A divided panel of judges on the U.S. Court of Appeals for the Fifth Circuit upheld the critical habitat designation. Whether the Endangered Species Act prohibits designation of private land as unoccupied critical habitat that is neither habitat nor essential to species conservation. Briefing on the merits of the case will be completed by late June. The case is likely to be heard by the Supreme Court once the new term begins in October 2018. A decision in the case should be issued by Spring 2019.